Sling Bookcase, White | Great Little Trading Co. 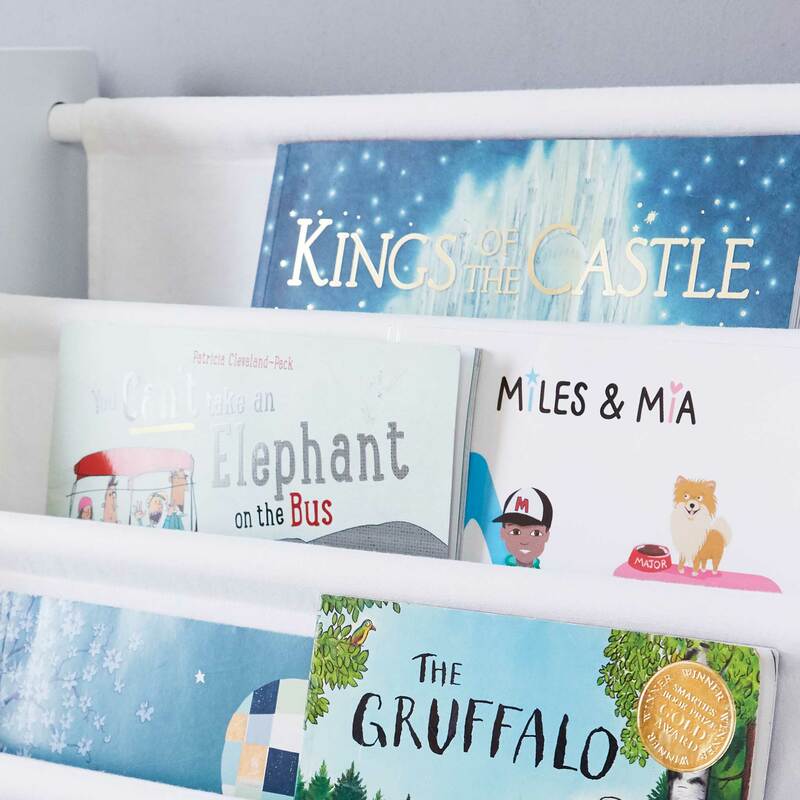 This is an ideal home for all those big picture books toddlers love, and front facing storage makes it easier for early readers to spot their favourites; we've made it a bit deeper this year to so it can hold more books. 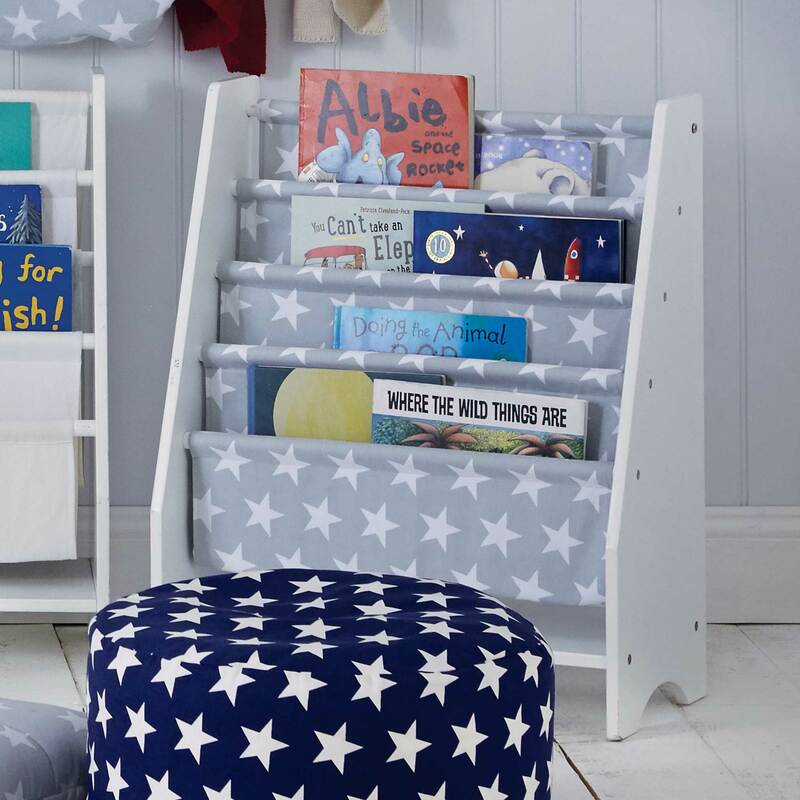 Add one of our Bean Bag Chairs to make a cosy reading corner for little ones. With little ones toddling around it's so important to make sure these pieces are strong and sturdy - that's why we use the best quality MDF that's thick, smooth and durable. Also includes robust, wooden dowling rods and tough, washable, cotton canvas sling. It's also available with a Grey Star, Rainbow Staror Zigzag sling. If you like the idea of front facing storage wall mounted Greenaway Children's Bookcase or our you might like our Potter Library Table. 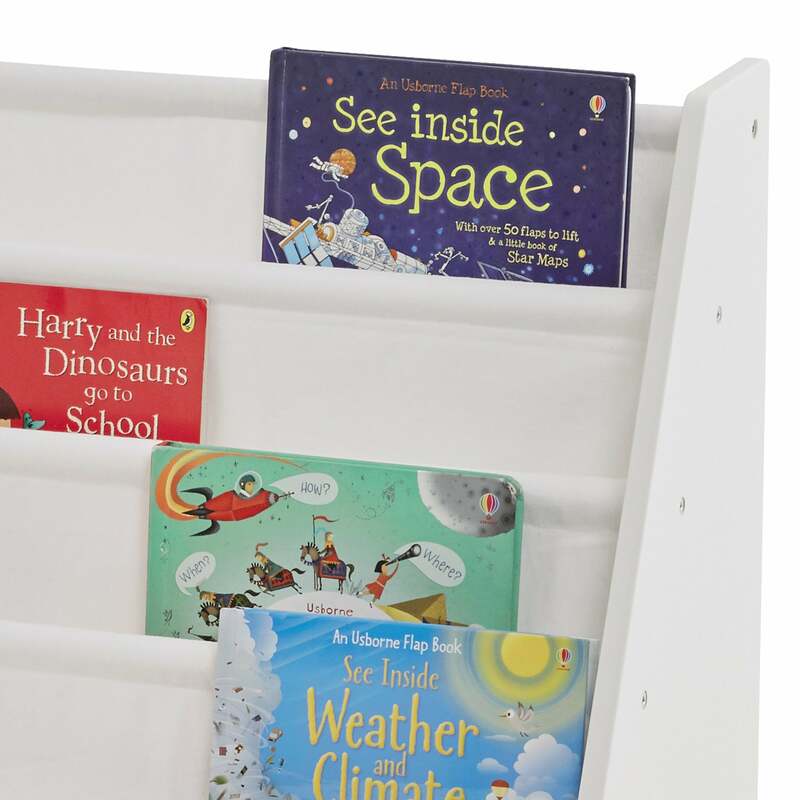 For more book storage ideas have a look at our full range of Children's Bookcases.